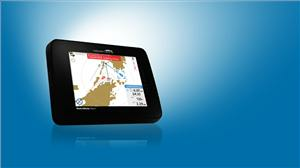 Vesper Marine, manufacturer of marine safety products, has announced the evolution of the world's first and only touchscreen Class B AIS transponder with the introduction of the WatchMate Vision2. "Our WatchMate Vision2 is the most advanced AIS transponder on the market," said Jeff Robbins, CEO, Vesper Marine. "Already packed with life saving features like smartAIS alarms, DSC calling and faster GPS, we have enhanced the user experience with an easy to use touchscreen, faster Wi-Fi, more Wi-Fi connections and a brighter display." Driven by smartAIS technology, Vision2 combines navigation sensor data, GPS and AIS information with intelligent alert logic and triggers alarms in the event of hazardous situations. While traditional AIS transponders only send and receive AIS signals, Vesper Marine's smartAIS units continuously calculate crossing situations and generate collision alarms for critical navigation action; alert the crew of an anchor dragging as well as changes in wind speed, wind direction and water depth while at anchor; and activate alarms in case of a man overboard (MOB) with continuously updated positions for quick retrieval. These capabilities are built right into the transponder itself and with an audible alarm these critical safety features don't rely on any other equipment. In addition to the audible alarm, the Vision2's built-in NMEA gateway and Wi-Fi capability can communicate alerts as well as all transponder information to a user's Android or iOS smartphone or tablet using the WatchMate App or their smartwatch using the award-winning deckWatch App. Vision2 enables up to eight devices to be connected simultaneously for greater flexibility and has the latest high-speed Wi-Fi technology for faster access. Vesper Marine also announced a new world's first with the Vision2 - the first ever hardware upgrade. Existing Vision customers will be able to upgrade to the new Vision2 smartAIS transponder. The factory upgrade will be fully tested and will include a 12-month warranty from the date of the upgrade. Offered at a very attractive price, upgrades will be available from July 2018. "The evolution of Vesper Marine smartAIS technology has been constant," said Robbins. "Since smartAIS transponders were first launched in 2012, we have added many powerful new features for collision prevention, as well as Anchor Watch, MOB alarms, Wi-Fi connectivity and integration with mobile devices like smartphones, tablets and smartwatches Every smartAIS transponder is automatically updated with new features from a user's smartphone or tablet. As we continue to push the envelope with new safety features and enhancing the user experience, Vision2 and other smartAIS transponders will continue to be up-to-date with the latest features, giving our customers the safest and most enjoyable time on the water."